Declan (8) is really interested in battles. 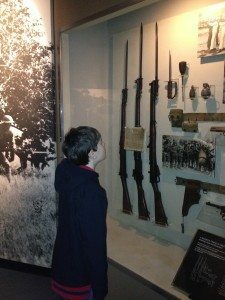 The Civil War was introduced at school and he came home with a million questions so I thought it was time to visit the Tennessee Military Museum. It is a little hidden – we did a lot of walking around trying to find the entrance, but it was well worth it. We parked here at the lot at 505 Deaderick St. Walk up Deaderick St. to 6th Avenue and go left to Union Street. Turn right on Union Street toward the Sheraton Hotel. 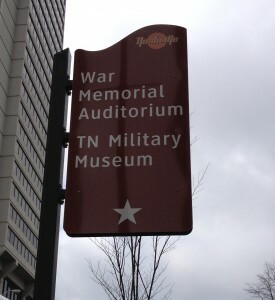 The Military Museum is across the street from the hotel. Enter the concrete courtyard and turn left and you will see a sign. It sounds confusing but it will make sense when you go. It is a small museum but it still took us an hour to look and read all the displays. 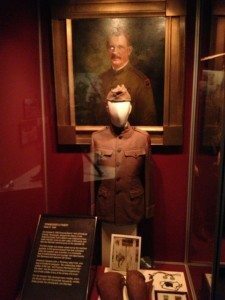 It starts with the Spanish American War and you travel through time as you walk to learn about World War I and World War II. 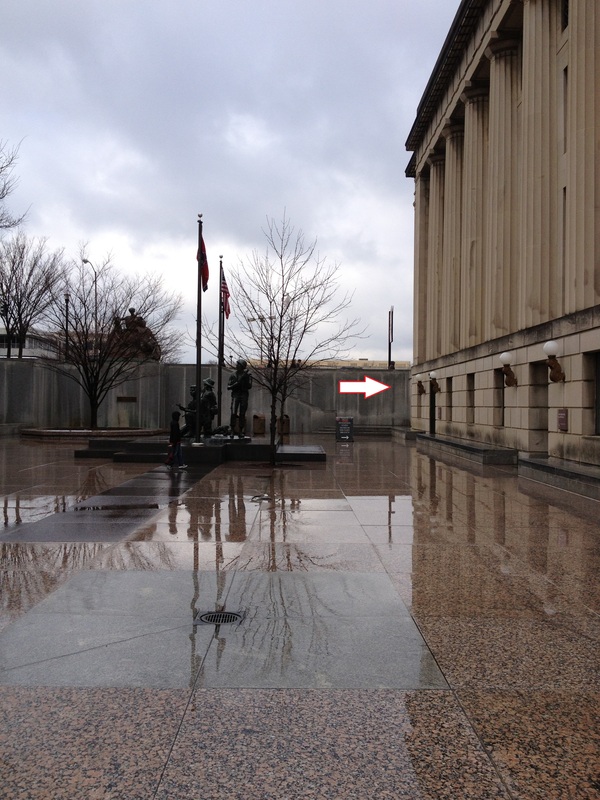 When you first walk in, there is an area to the right for traveling and special exhibits. Currently it highlights Sargent York and his battle against the Germans in World War I. There are maps and artifacts as well as displays from the recent archaeological dig of the area. There are displays of weapons that were used by both the Allies and enemy forces. 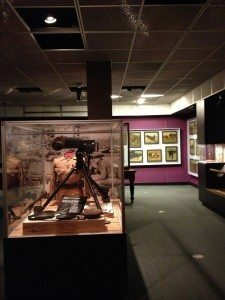 Declan was really interested by the displays of uniforms and supplies – the men had to carry a lot of stuff. In addition to ground forces, Tennessee has a long navel history. 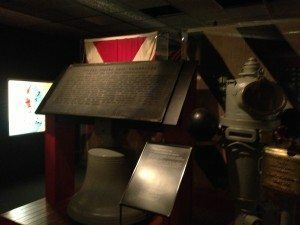 There are hand made models of ships as well as some actual artifacts from the USS Tennessee. The most interesting display came at the end for me. There is a full scale model of one of the atomic bombs that was dropped on Japan. We were so interested in discussing the display that I forgot to take a picture. I’m sure it will spark lots of conversation for your family too. 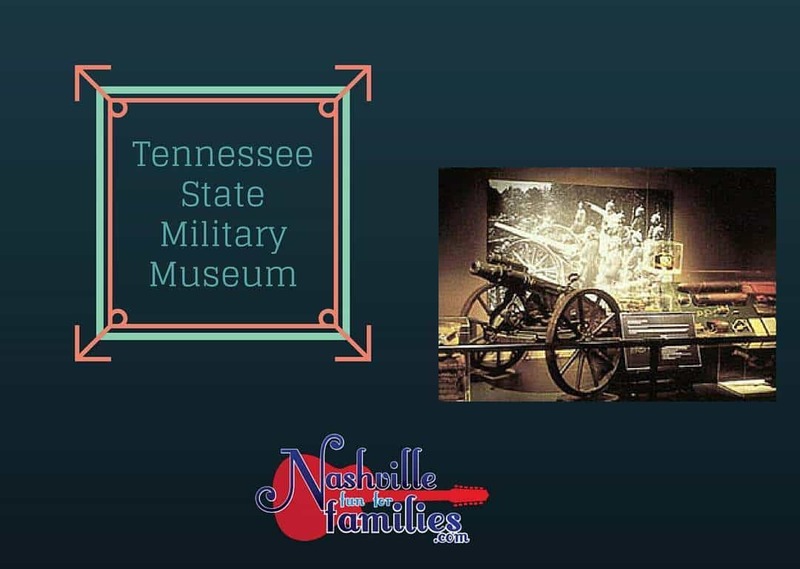 As you are in the area, your family can take a tour of the Tennessee State Capital and explore the Tennessee State museum all in the same day.